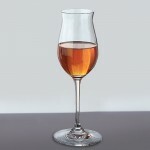 Riedel Vinum Cognac Hennessy 2 Stems (P/N 6416/71). Diverging from the traditional balloon-shaped Cognac glass, Riedel has worked with wine experts to develop these fluted stems. The crystal is formed to capture, condense, and release the unique undertones of Cognac and Hennessy. 24% leaded crystal is fire-polished for a lovely finish. The elongated bowl leaves less surface area for evaporation, coaxing a more delicate aroma from the strong, distilled spirit. 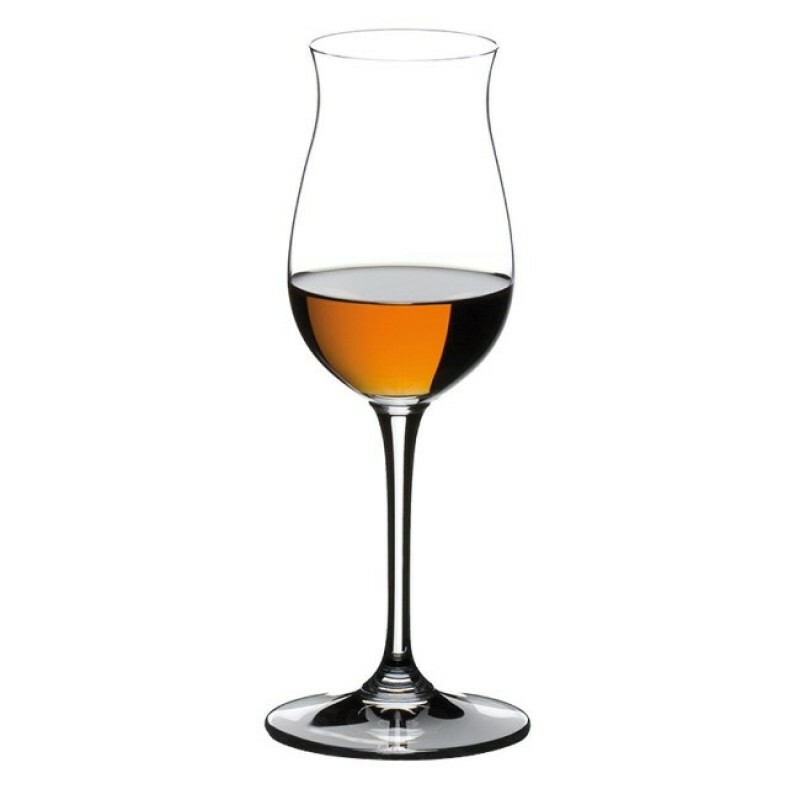 Delicate yet stable, each cognac glass stands 7-1/4" tall and holds 6.75 oz. These tulip flutes differ in shape from the traditional "balloon-bowl" cognac snifters, offering an alternative preferred by serious aficionados. 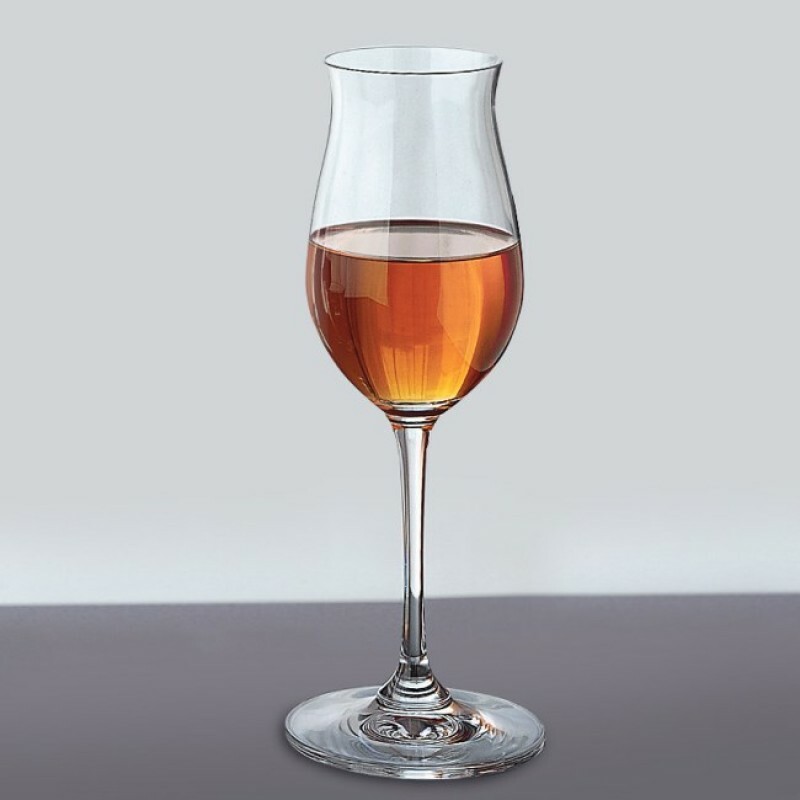 Riedel leaded crystal is optimized at the molecular level to develop aromas. 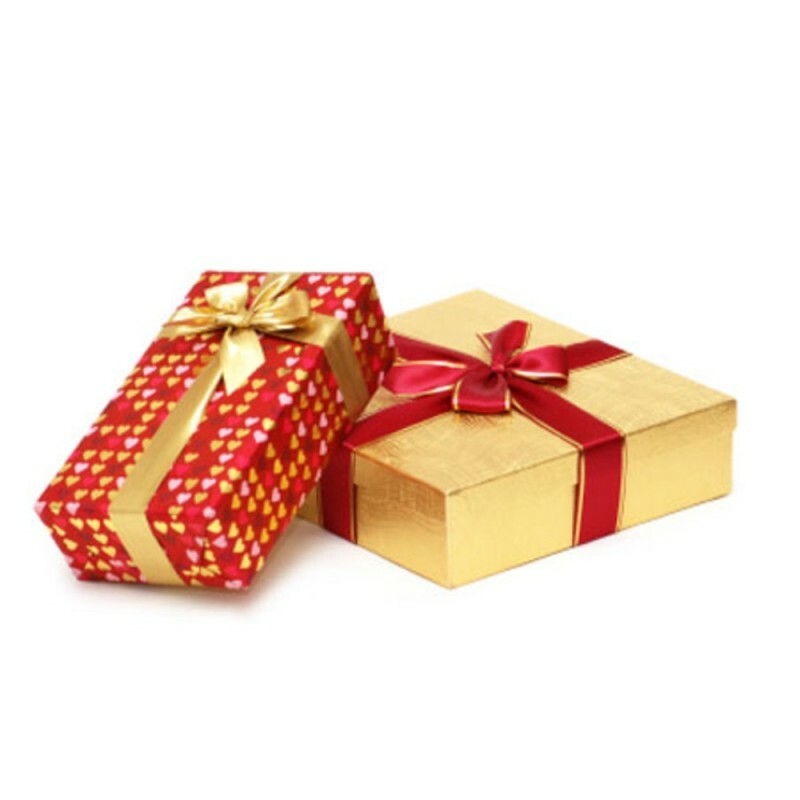 This special stem features a fluted shape, offering a small evaporating surface, which helps to balance the aroma and taste while tempering the alcohol and emphasizing the bouquet.